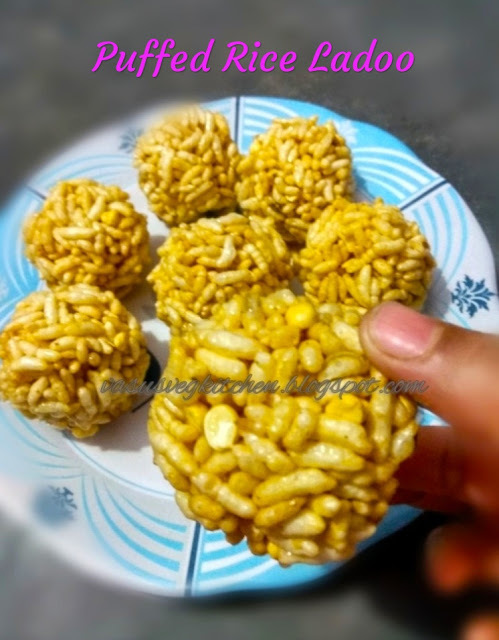 Puffed rice is also known as maramaralu/borugulu in telugu, pori in Tamil, mandalu in kannada murmurs in hindi. 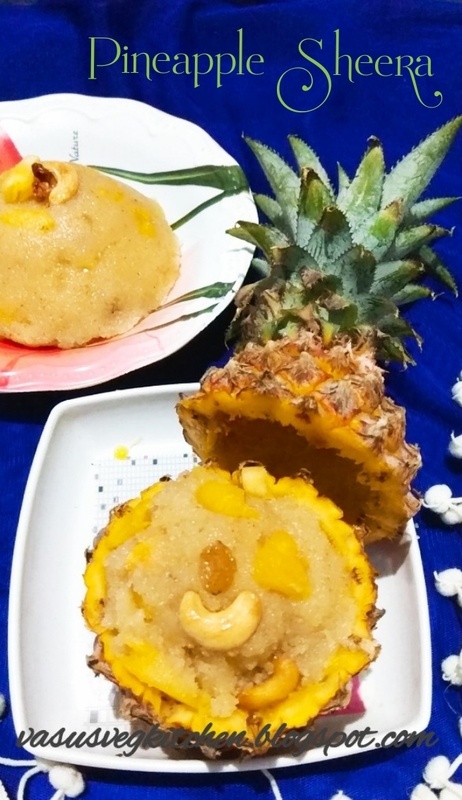 It is very easy to prepare with 2 ingredients, but bit tricky for beginners. 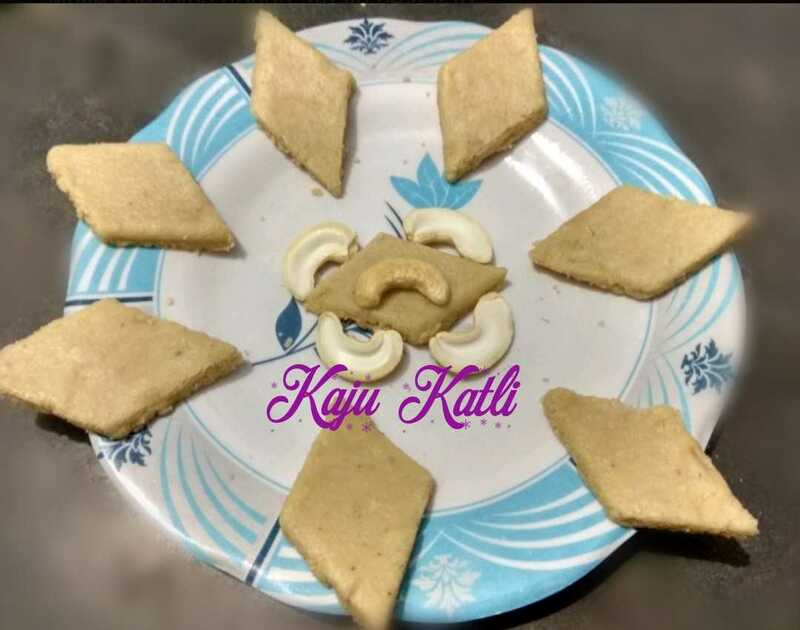 I am telling this because, my first attempt is big failure😣. I was not able to mould it as laddu, as it became dry. The important point for this recipe is puffed rice & jaggery measurements, and timing when to add puffed rice into jaggery. 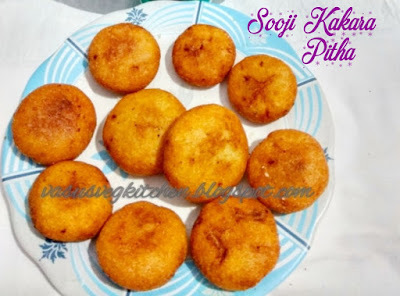 I tried again keeping all points in mind, then it came very nice, crispy, light, delicious😋😍. 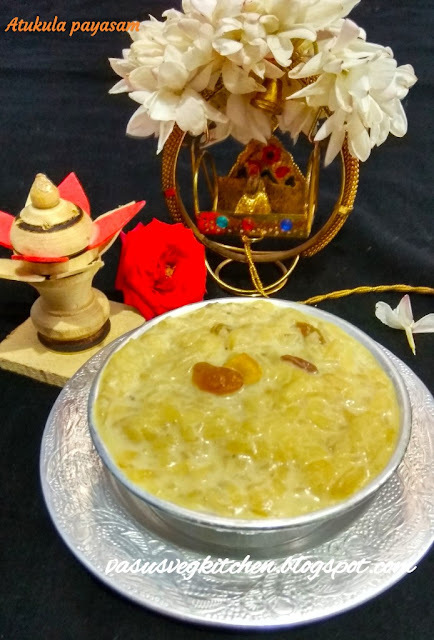 The trick to remember is just wait for the jaggery to bubble up evenly. 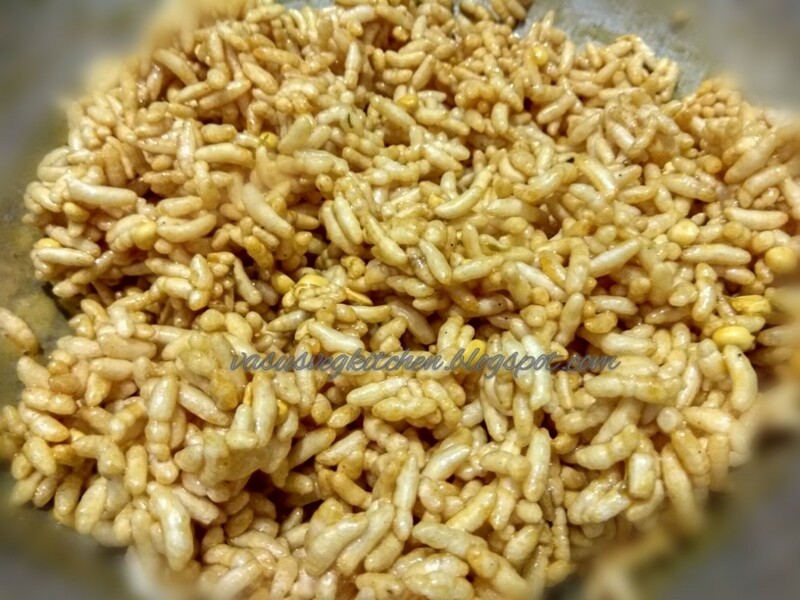 once bubbles up add puffed rice. 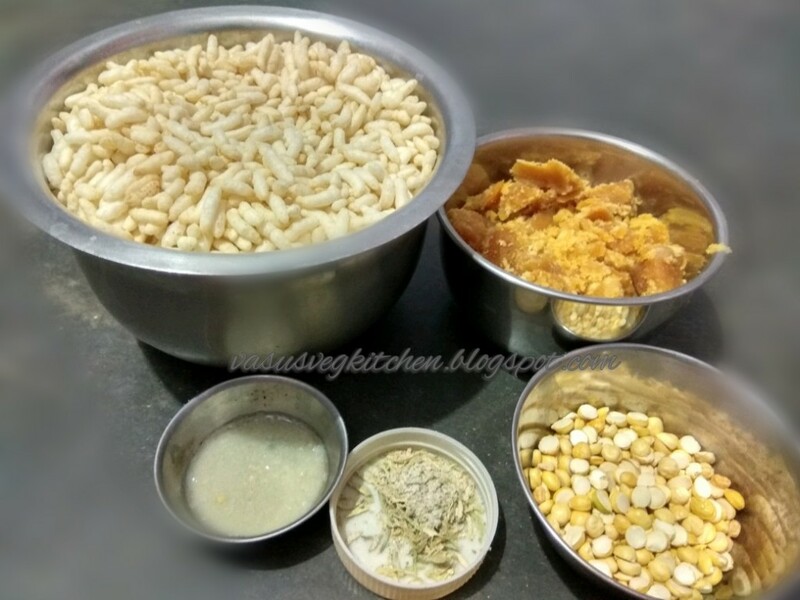 Adding roasted chana dal/ putnalu and cardamom powder is optional. 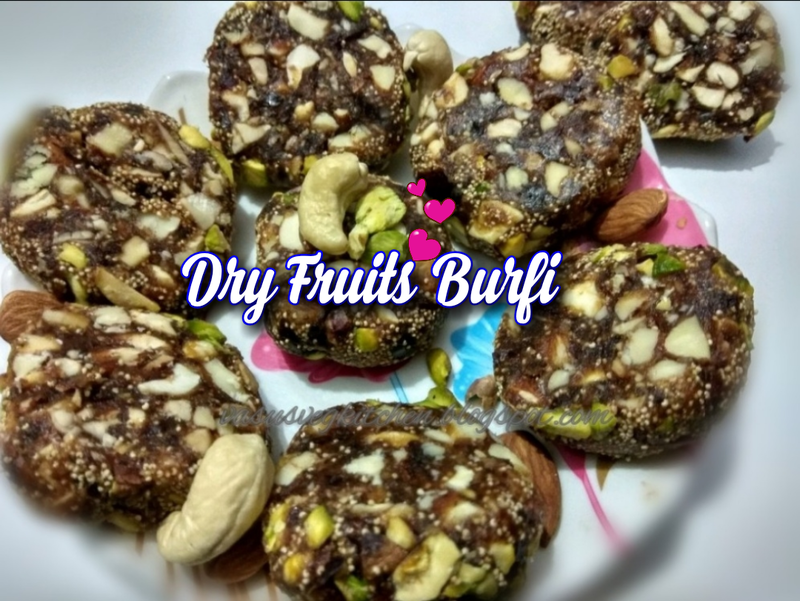 Also check my sweet/dessert recipe s🤗. 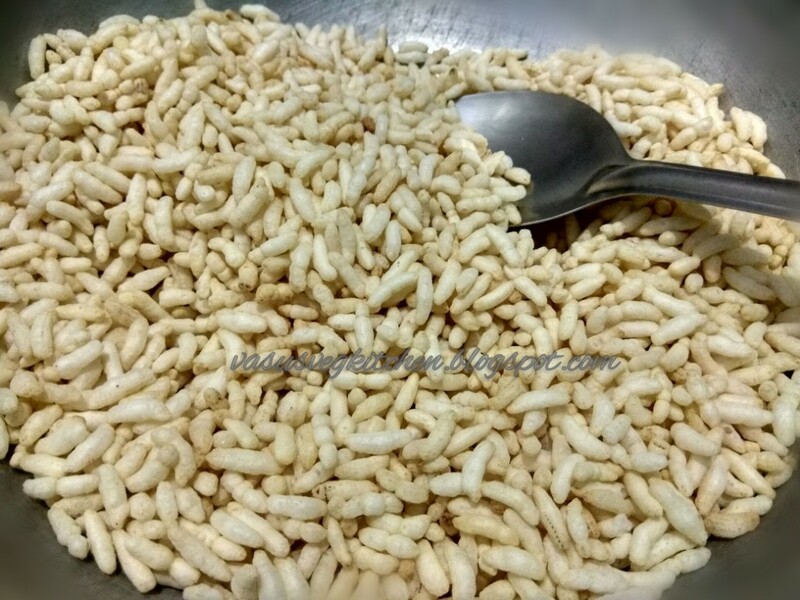 1) Take a pan add puffed rice, dry roast for 2 minutes on low flame and take it into plate. 2) Add jaggery in a pan add 1/4 th cup of water heat it just to dissolve jaggery in water. 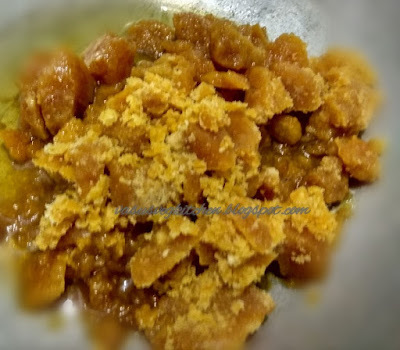 Now strain the jaggery to remove the impurities using strainer. 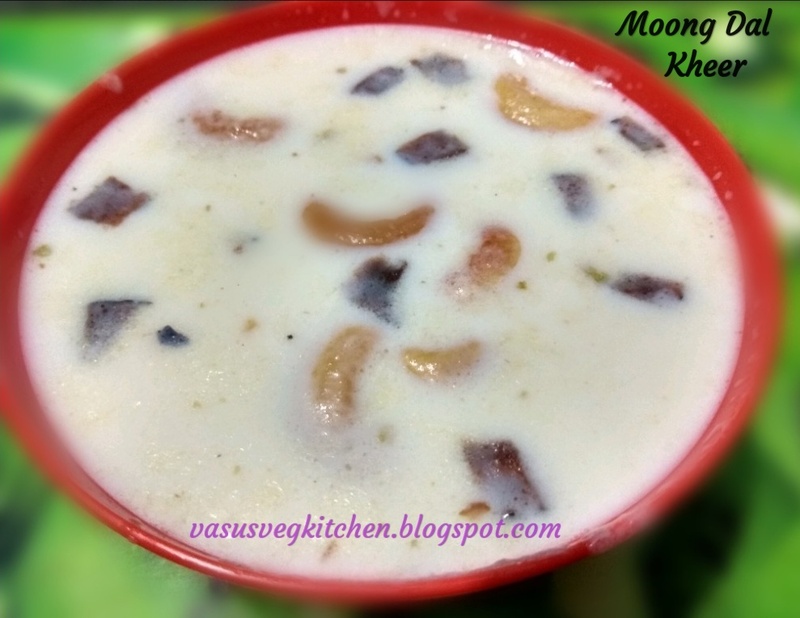 3) Add 1 tsp of ghee into pan and add strained jaggery and boil it in low flame, u will observe bubbles, stir it well. 4) Now add cardamom/elachi powder, puffed rice, roasted chana dal mix it welland switch off the flames. 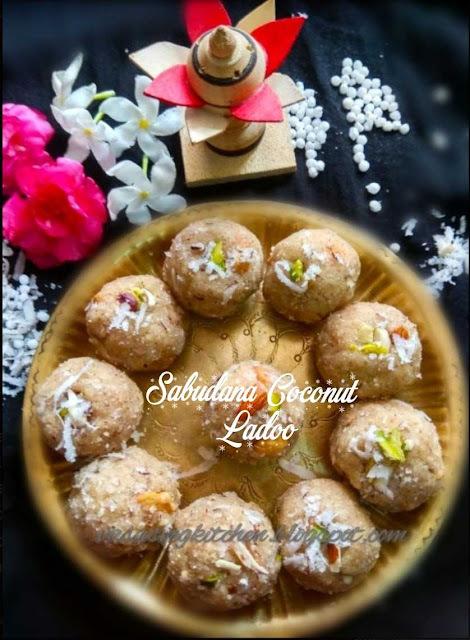 5) Apply water to hands and mould the mixture as ladoos. 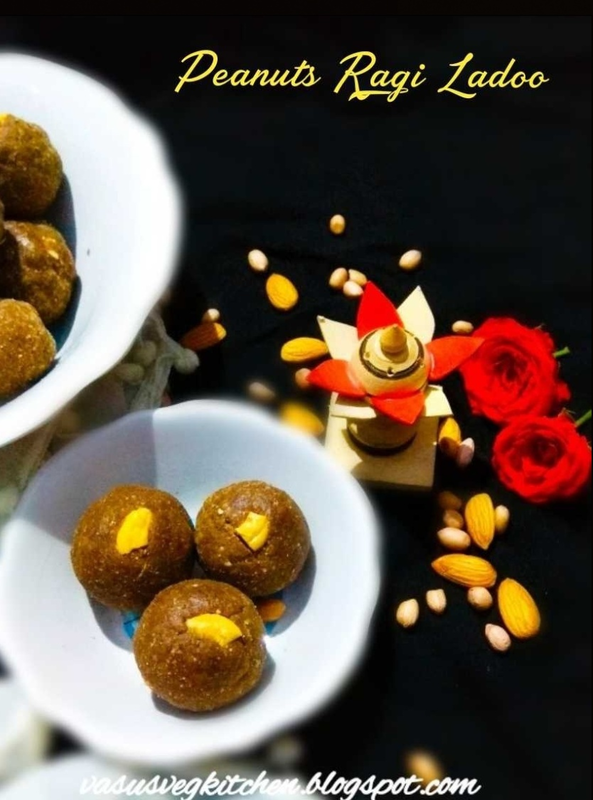 You have to make ladoos when the jaggery is hot, otherwise you cannot mould it as ladoo. 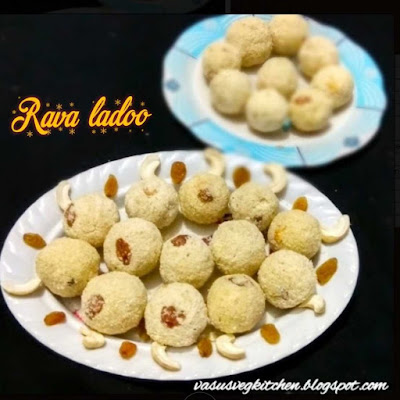 You can prepare 12 ladoos with the above measurements. 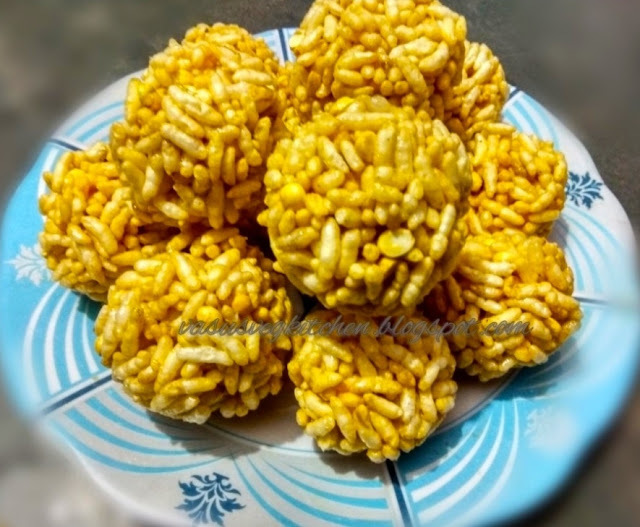 Yummy and crispy murmura ladoo is ready 😋😋. 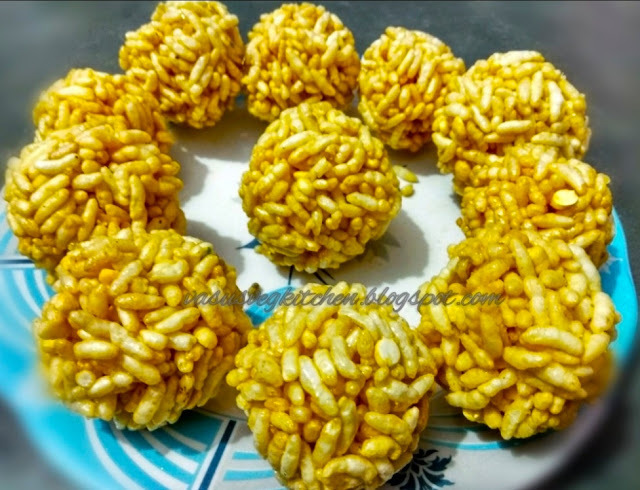 *Adding elachi powder gives good flavour to ladoo. 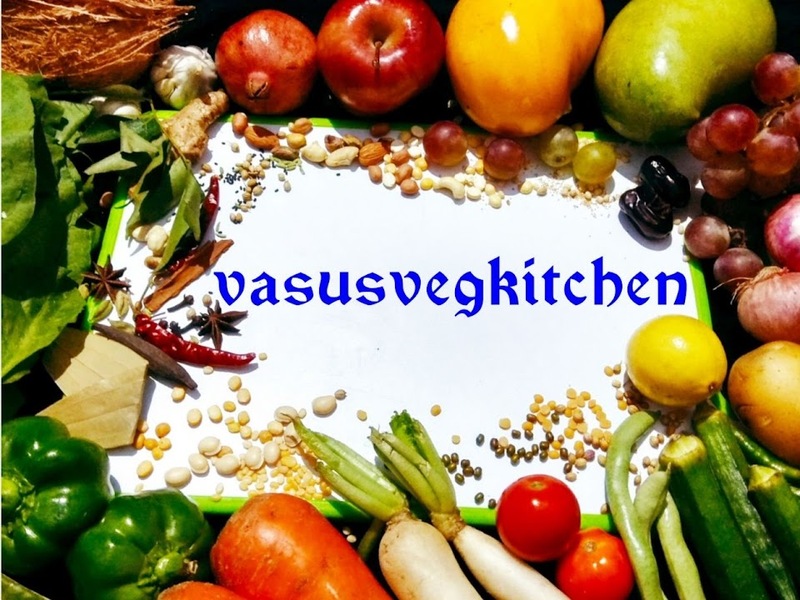 * Adding roasted chana dal is optional but it gives good taste. * If you feel the jaggery is not pure, just grate jaggery add few drops of water, melt it by keeping it on low flame for a mintue, switch off the flame and filter it. Then use that jaggery for preparation. ◆ Some of us prepare jaggery syrup till getting string fall, its optional. 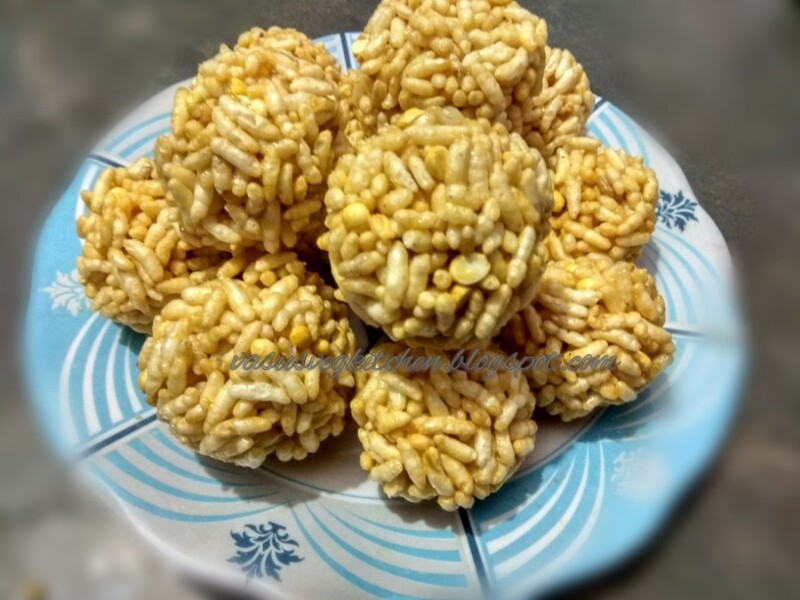 I prefer adding puffed rice when bubbles form evenly while heating jaggery 🤗. 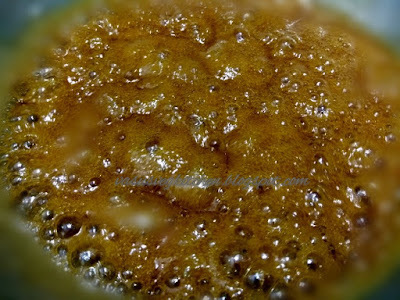 ◆ Apply water to hands while moulding, as the mixture will stick to hands. ◆ Take care of hands while preparing laddos, as mixture will be hot. 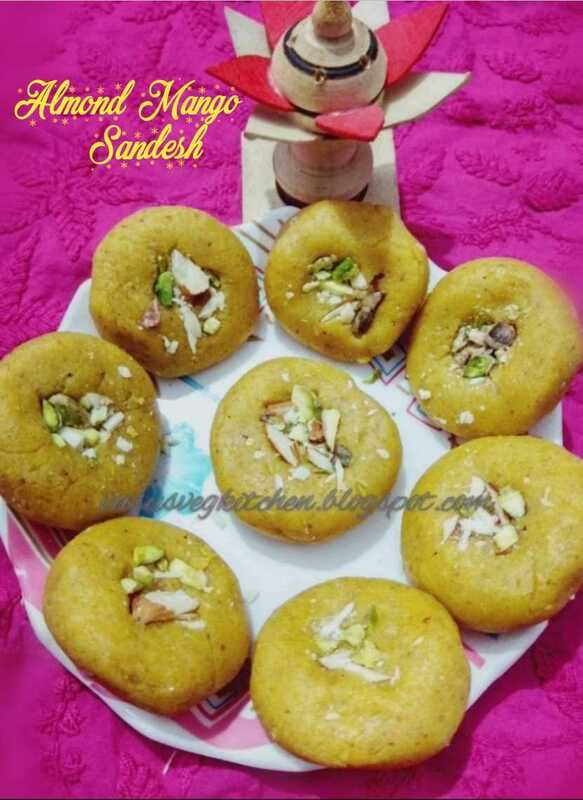 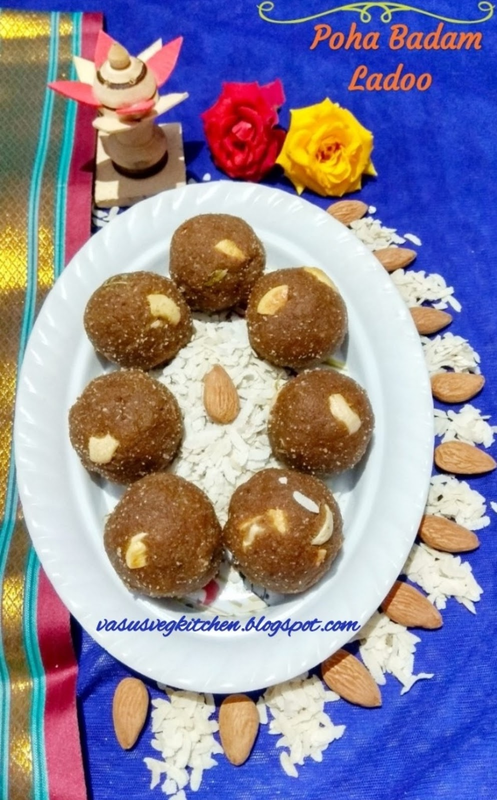 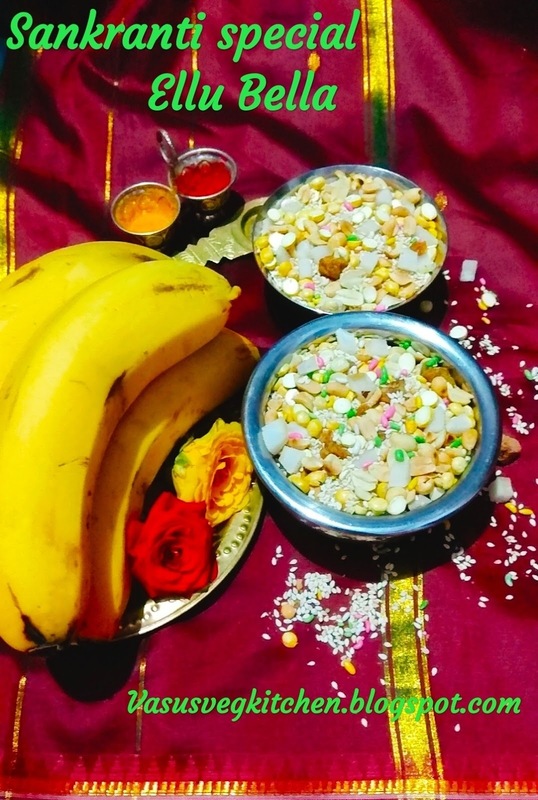 Hope you like this festive sweet pongal recipe. Give it a try and drop your comments in inbox.